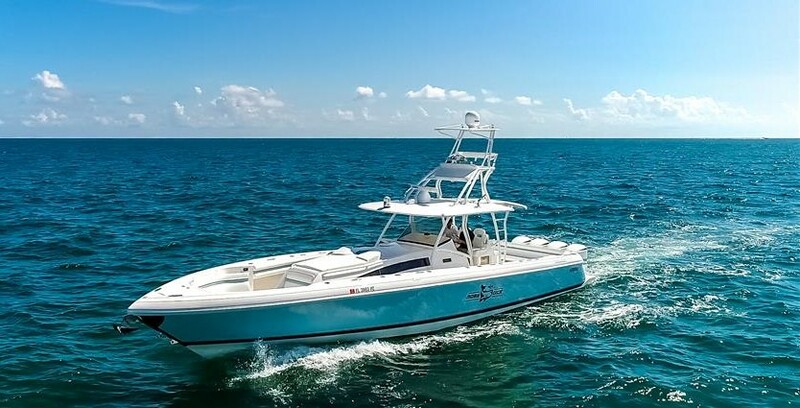 The 327 is a sleek and attractive boat with her reverse transom, powder-coated T-top supports, and white Yamaha outboards. A hullside door is very functional for swimming and diving, and the uncluttered cockpit provides lots of in-deck storage capacity. Forward provides wraparound seating for six and storage behind the backrests. The front console seat slides open to permit access to the head. She also offers a cuddy cabin to get out of the sun during the long days offshore. Call today to see this 2015 327 Intrepid!